Suited to relaxation or treatments such as hypnotherapy, this beautiful ambient music offers compositions that will allow you to relax and drift into deep thought. Crafted with dreamy soft sound, this album offers an enlightening ambience that can help to create an atmosphere of calmness and positive energy. 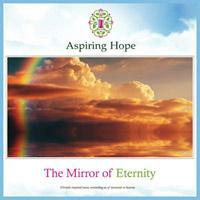 This featured album ‘The Mirror Of Eternity’ is an audio only CD, composed specifically for the purpose of creating beautiful calming ambience. Many also use this audio as a sleep aid at the end of a busy day to help with relaxation.